Last night at the 61st Grammys in LA, Country singer Kacey Musgraves walked away with four Grammys including Album of the Year, and Childish Gambino won Record of the Year and Best Music Video for ‘This Is America‘. Musgraves’ country-pop fusion Golden Hour had been hotly-tipped coming into the awards – making many critics’ favourite album of 2018 at the end of last year – but it still faced tough competetion in Janelle Monae‘s fantastic, futuristic R&B record Dirty Computer and Cardi B‘s volatile hip-hop hit Invasion of Privacy. Black Panther: The Album, our favourite album of last year, was also nominated for the top prize, alongside Drake‘s Scorpion, Post Malone‘s Beerbongs & Bentleys, H.E.R.‘s self-titled R&B breakout and another country offering in Brandi Carlisle’s By The Way, I Forgive You. On the singles front, Gambino’s explosive ‘This Is America’ won both Record of the Year and Song of the Year (awarded for songwriting), beating out Drake’s ‘God’s Plan’, Cardi B’s ‘I Like It’, Kendrick Lamar & SZA‘s ‘All The Stars’ and Lady Gaga & Bradley Cooper‘s ‘Shallow’. Lady Gaga still had plenty to cheer about though as ‘Shallow’ won Best Pop Duo/Group Performance and ‘Joanne (Where Do You Think You’re Goin’? )’ won Best Pop Solo Performance. Elsewhere, Dua Lipa walked away with the Grammy for Best New Artist ahead of artists like Jorja Smith and Greta Van Fleet, whilst Ariana Grande‘s Sweetener was picked as the Best Pop Vocal Album and Arctic Monkeys‘ divisive Tranquility Base Hotel + Casino lost out to Beck‘s Colours in the Best Alternative Album field. The bizarre collaborative duo of Sting & Shaggy also somehow picked up the Grammy for Best Reggae Album for 44/876. 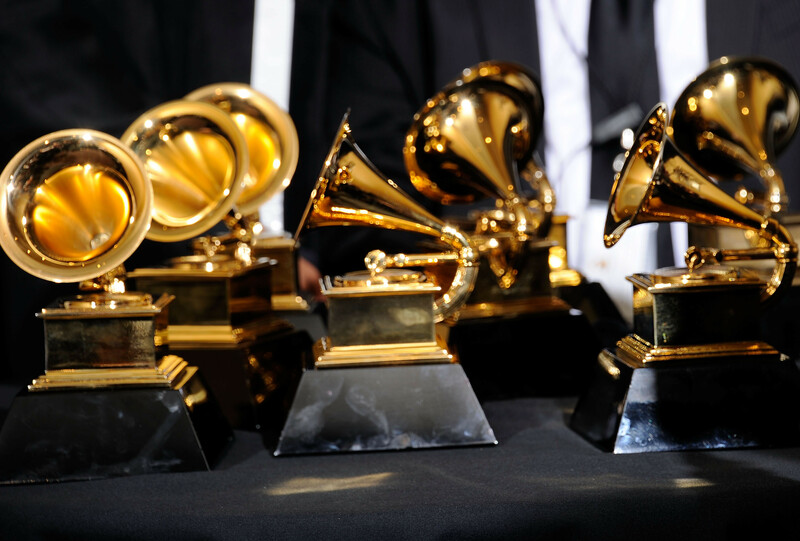 The 61st Grammys were also notable for Lady Gaga’s electrifying live performance of ‘Shallow’, as well as Drake’s perhaps controversial acceptance speech when he picked up the Grammy for Best Rap Song for ‘God’s Plan’. Criticising the nature of the Grammys (and award shows in general), he shouted out fellow artists Cardi B and Travis Scott as he called out the show for perhaps not understanding “what a mixed-race kid from Canada has to say, or a fly Spanish girl from New York.” He went on to describe the Grammys as “an opinion-based sport, not a factual-based sport,” and that simply getting your music heard was a far greater achievement than winning an award. Drake’s comments – which were cut off by telecasters halfway through his speech – seem to be echoing similar sentiments at awards show like the Oscars, who have struggled to diversify their awards categories in recent years – whilst the Grammys twice passed on opportunities to award the top prize to Kendrick Lamar for arguably two of the greatest albums of the decade in To Pimp A Butterfly and DAMN., going for Taylor Swift and Bruno Mars respectively instead. This perhaps fed into the decision by artists like Drake and Lamar to decline invitations to perform at this year’s Grammys, whilst Donald Glover didn’t show up at all. The full list of nominees and winners can be viewed here.